After I ate the best gimbap and went to the best cafe, I was impressed by my own audacity to claim I have eaten the best chicken. I have such limited calories per trip that I put a lot of effort in researching the best possible food to dump those calories on. And I truly believe I have found it. 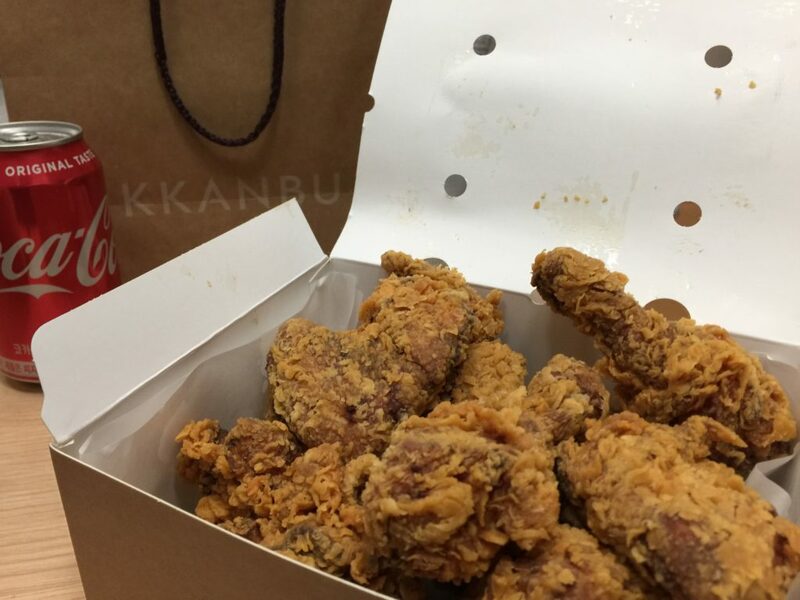 I, all along, have had the impression that Kyochon Chicken was the best, but my Korean friend recently told me that Kyochon’s standard has went down over the years (which explains why their Roppongi branch closed) and the best right now is… Kkanbu Chicken. I was pretty excited because the only other fried chicken I’ve had on the trip was a late-night impulse eat at a random outlet. It was good (because alcohol) but certainly not the best. There are many outlets but I visited the one about a 15 minutes walk from where I was staying near Seoul University of Education station. I walked in to the stylish-looking outlet. 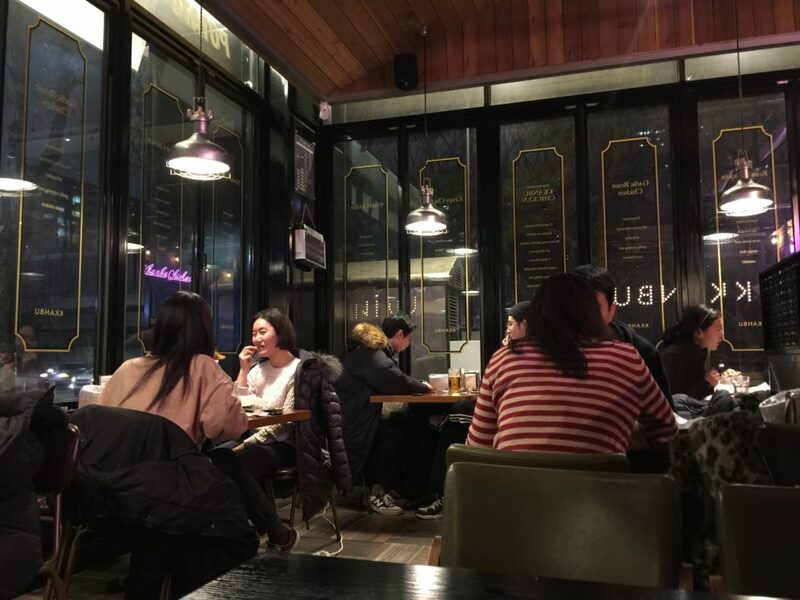 Since I was alone on my last night in Seoul, I wasn’t feeling like eating alone in the midst of stylish people, probably from nearby Gangnam. I’ve had enough spices and flavors to last a lifetime on this trip so I just wanted a normal crispy fried chicken. All their chickens were for at least 2 persons, but it was my last night so I thought what the hell. 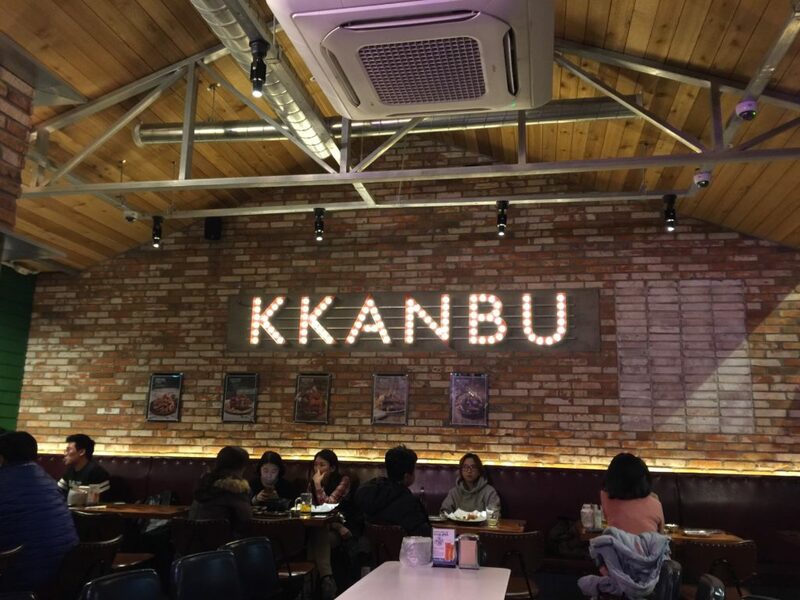 While waiting for my Crispy Chicken (17,000 won), I admired how a fried chicken place, synonymous with the image of KFC, could be so stylish. Even the patrons at this particular outlet were stylish South Koreas in chic black. It took about 15 minutes before my order was ready, I left for my apartment, grabbing a bottle of Cass on the way back. 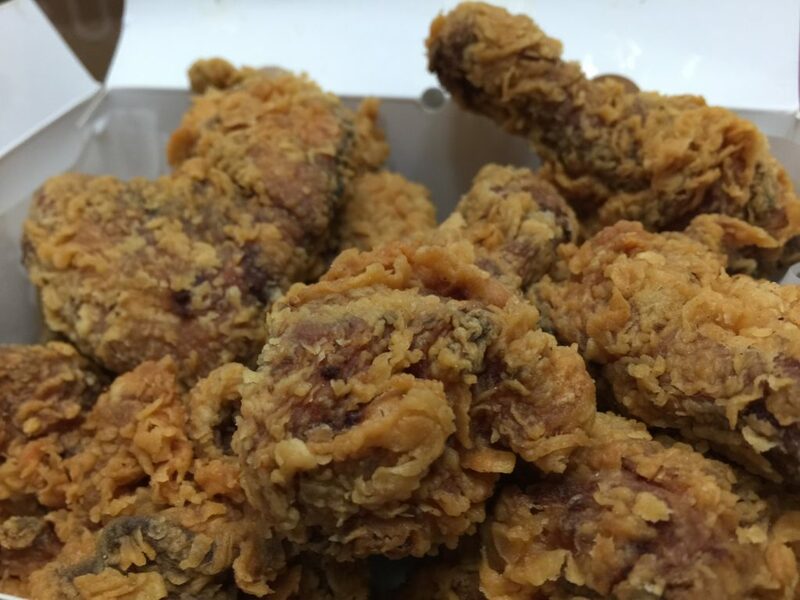 Just like red wine to steak, you need beer for fried chicken. It felt like Christmas morning opening the box of fried chicken. The take-out box came with a can of coke and some pickles, but my full attention was on the chicken. It for sure looked crispy, a far cry from KFC’s idea of crispy. The first bite certainly did not disappoint. It tasted as crispy as it looked and the breading stayed onto the chicken. To some, this chicken might be too greasy, but for me and by Korean standards, this had just the right amount to be perfectly counteracted with beer. This box of chicken was obvious enough for 2-3 persons, but I finished it all, swearing to start a diet when I got back to Tokyo (I didn’t). 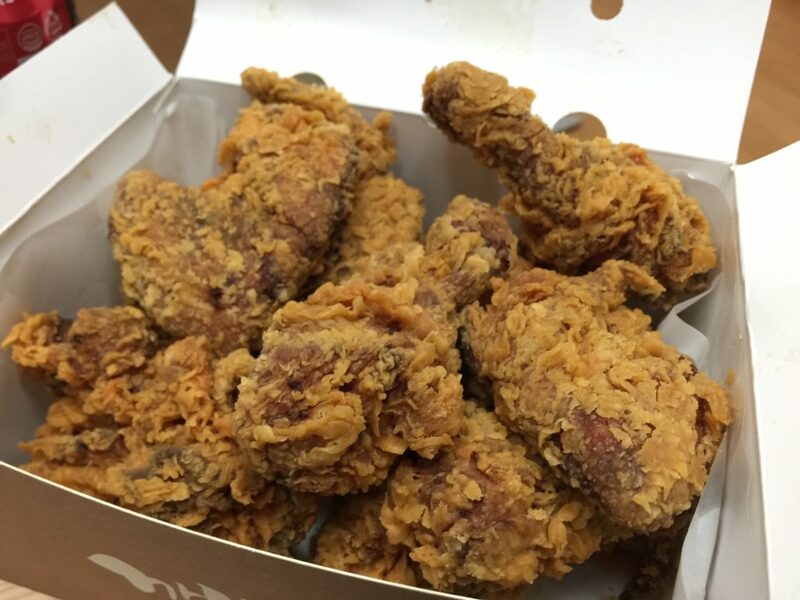 If you think that you know another fried chicken in Korea that is better, leave a comment and I will be sure to check it out and write about the real best fried chicken in Korea.